Abingdon, VA Friday, Jan 4, 2019. Food City is well-known for their superior customer service and vast community involvement within their operational areas. In keeping with their exemplary service standards, each year Food City recognizes outstanding volunteerism among their associates through their Claude P. Varney Volunteer Recognition Program. “As a company, we strive to maintain a high level of dedication to service, quality, value and community involvement, while providing a work environment that enables our associates to grow both personally and professionally as successful members of the team,” stated Steven C. Smith, Food City’s president and chief executive officer. 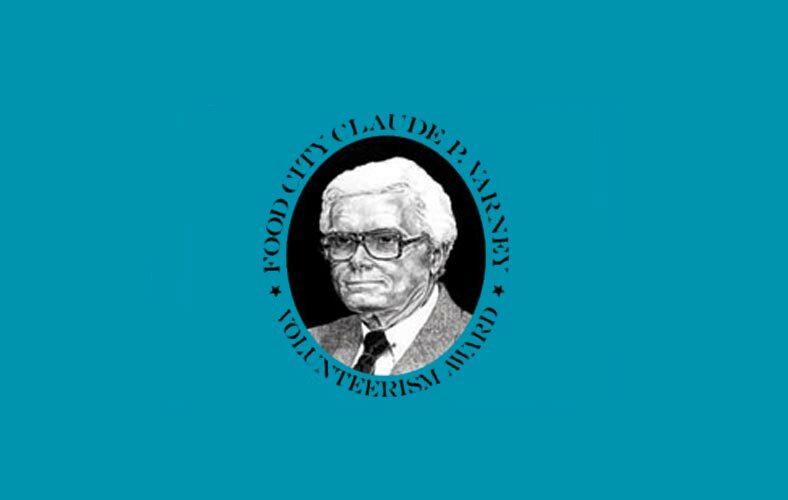 Following his attendance at a June 2002 White House meeting geared toward boosting national volunteerism through corporate support, Smith administered the creation of Food City’s Claude P. Varney Volunteer Recognition Program, in memory of their beloved former president and board vice-chairman. Throughout his 47 year career, Varney brought a great deal of foresight and knowledge to Food City and the grocery industry as a whole, but was most noted for his tremendous compassion and humanitarian services. “Many of our associates volunteer their time and talents to numerous service organizations throughout the areas in which we operate and we feel it’s needful to recognize the valuable services and support they provide,” said Smith. Store winners then move on to compete at district level. Twelve district winners are recognized with an award and a $250 contribution to their choice charity during a special corporate luncheon. Two divisional winners are then chosen and honored with a plaque and a $750 charity contribution. And finally, one overall winner is selected to receive the prestigious Claude P. Varney Humanitarian Award and be publicly recognized for their outstanding achievements in addition to a $1,250 charity contribution made on their behalf. “We’re extremely proud of the difference our associates make through their many humanitarian contributions. Our company is wholly committed to providing exceptional service to the citizens and communities in which we operate and ensuring our associates have the support they need to become the best corporate citizens possible,” summarized Smith.